At first glance, the credit card payment process looks pretty simple and straightforward: a customer swipes his/her card, and in no time, the transaction process is complete. However, there is a more complex procedure behind every card swipe. In fact, inserting the card and signing the transaction receipt are only the first and final steps of the credit card processing process. Though it lasts only a few seconds, this process involves several actors and different behind-the-scene stages. Intimate knowledge of the behind-the-scene workings of the credit card processing system is not exactly crucial to finding the best credit card processor. However, having a general understanding of this process is a good idea as it provides valuable insight into the prices incurred at the register. It is also very important for small business owners since payment processing incurs one of the biggest costs they must manage. This article provides an extensive insight into the credit card payment process and what happens with each swipe. 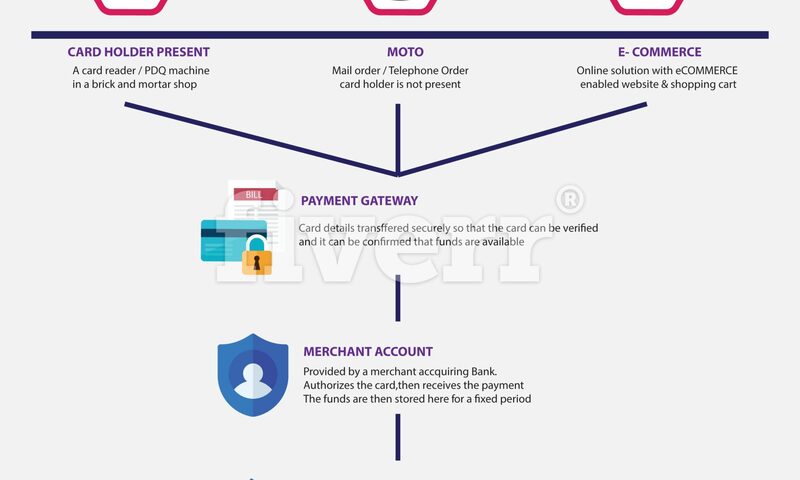 The cardholder is one who receives a bankcard from an issuing bank and presents the card to merchants for the payment of goods or services. 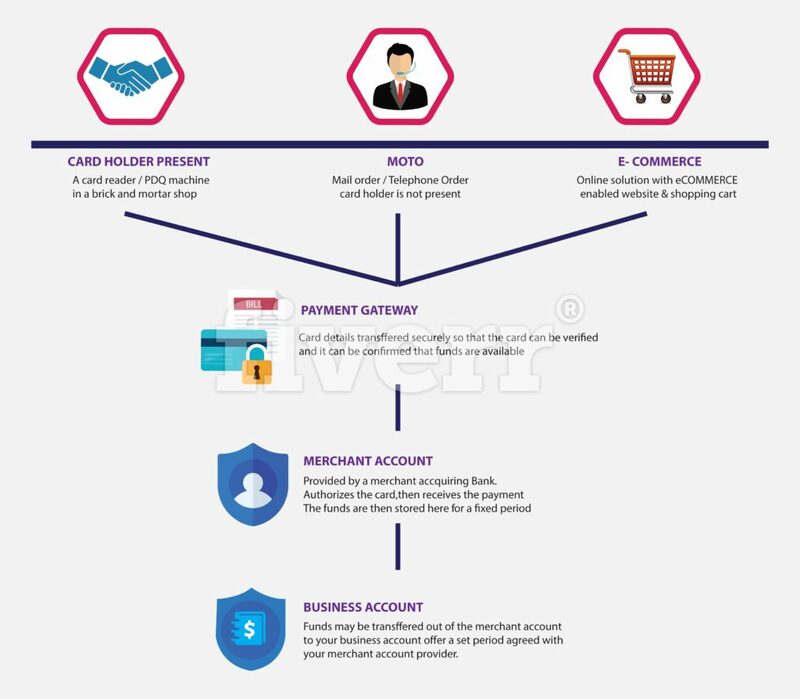 A merchant is any business that manages a merchant account which allows them send payment authorization requests to a payment processor. This request may be issued from a credit card system or point of sale terminal in an eCommerce store, brick-and-mortar store, mobile payment system, or other payment methods. The credit card processor receives the payment information and sends it to other parties, including the card network and issuing bank. A good example would be FirstData. Their primary role, however, is to route the payment data to the card network or association. The credit card depends on one of the major credit card networks to function. Visa and Mastercard are the most common credit card networks; once they receive the payment information from the card processor, this information is sent to the customer’s bank. The issuing bank – a member of the card networks/associations (Visa and Mastercard) – issues credit cards to consumers. They approve or decline transaction request based on factors such as the status of the cardholder’s account or the available credit funds. Following the transaction request, the issuing bank sends the approval status to other key players – the credit card association, merchant bank, and the merchant. Major players like Bank of America would be a perfect example. Also a registered member of the card associations, an acquiring bank (or merchant bank) allows businesses accept credit card payments. They equip merchants with the software needed to accept and manage customer requests and other factors related to card acceptance. The acquiring bank is also responsible for depositing credit card funds made from sales into a merchant’s account. However, as acquiring banks such as Wells Fargo play reduced roles in the bankcard system, many merchants hardly recognize them as primary providers of their account. Third-party independent sales organizations are often enlisted by the acquiring banks to monitor the daily activities of their merchant accounts. To ensure convenient transactions, most merchants accept credit card payments. However, some of these merchants require a minimum fee before credit card payments are accepted, and you may have wondered why. Truth is, merchants must pay a certain amount in order to accept credit card payments. So, most will increase the prices of their products so the processing costs can be absorbed by the customers when they make payments. These processing fees vary, depending on the type of merchant and the platform through which the goods or services are delivered (by phone, through eCommerce, or at the retail store). Getting your credit card transaction rejected can be embarrassing. But a number of reasons may be responsible for this rejection. When a credit card transaction is declined, you will receive a response code from the point of sale terminal that explains why. However, these codes do not really explain the details in most cases. Transaction request may be rejected if the consumer made a significant number of online purchases within a short period of time. International charges are rejected by some credit card companies. A cardholder can dispute a charge made on their credit card if they can prove that they did not authorize it. If, for instance, the card was stolen, a refund can be made – a process known as chargeback. A customer reserves the right to query a charge on the card within 60 days of the statement. When the complaint is received by the issuing bank, the merchant is charged a penalty fee between $10 and $50 for issuing a “retrieval request”. A merchant may have to pay even more fees if they do not respond to the retrieval request within a specific period of time.